If you’re moving to Belgravia, or are considering moving to this desirable area, this guide will give you some great insights into what this part of SW1 has to offer. In the fashionable district of SW1, there is the even more fashionable area of Belgravia containing no less than 4 Michelin starred restaurants, a 5* OFSTED rated primary school, 5 nearby tube stations and a fabulous park. It is also less than 15 minutes’ drive into Central London making it exceptionally useful for young professionals and city workers who want or need to be close to their place of work but it’s an exclusive area and is only affordable to the very few. The many popular roads, village like feel and atmosphere also draw families, retirees, celebrities and investors to the area. 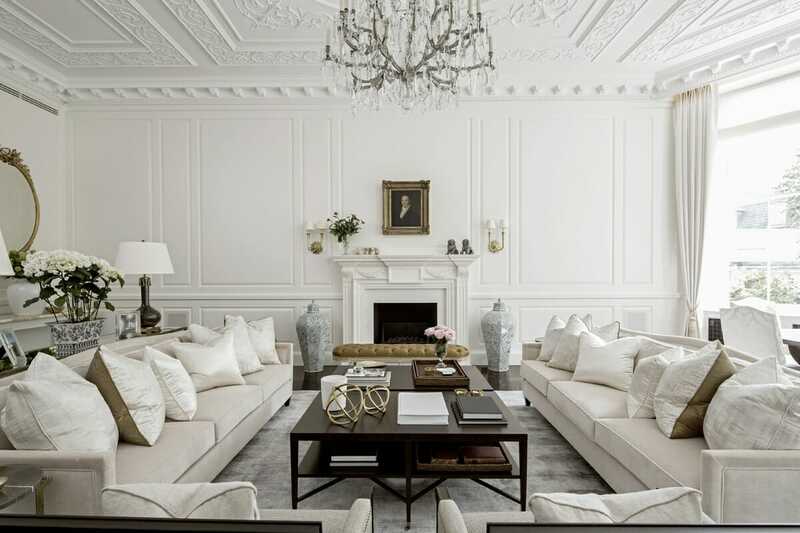 There’s no getting around the fact that Belgravia is one of the most exclusive and affluent areas of London. This is not the kind of district you live in if you’re on a budget. Belgravia is so exclusive in fact it is known all over the world as being one of the best areas to live and stay in London so moving to Belgravia is not for everyone. The history of the area’s exclusivity begins in the 1820’s when the Marquis of Westminster oversaw large developments, and many of those developments and properties are still owned by the family in modern times. 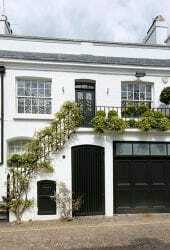 Today you’ll also find that many royals, celebrities and influential members of society reside in Belgravia. On a lazy Sunday stroll, or Saturday meander through the area, browsing gorgeous pastry shops and buzzing restaurants, you’ll no doubt spot at least one or two familiar faces in the area. It really is a hub all on its own within London, and the amazing location, atmosphere, facilities and community, as well as its proximity to Central London, make it a prime area to move to if you want to live somewhere very exclusive. Belgravia does have its own look, and style, with the white townhouses being the most iconic visual part of the entire area. Amongst those traditional townhouses there are also penthouses and other modern properties that have been added over the years. Property prices in this area, according to a major estate agents in the area start at around £700,000 for a studio apartment, yes, that’s right almost three quarters of a million just for one room so you’ll need deep pockets if you’re planning on moving to Belgravia. Commonly, properties that have not been developed that come up on the market are extremely desirable as investors seek to buy, develop and resell or rent at a high profit. Properties are highly sought after in general, and don’t regularly come up because the area is so exclusive. If you’re looking to rent in the area, you’ll be paying towards £1000 pounds a week on average, although rentals span from around £300 to £4000 a week depending on how luxurious you want your rental to be. You should also think about additional costs of living in the area, such as council tax which at its highest costs nearly £700 a month (ouch!). There’s a lovely mix of residents in Belgravia, with UK and overseas residents in almost equal measures. Families love the area because it is so secure, beautiful and has a really quaint almost village like feel. Young people love the area because they are so close to the West End and the famous nightlife of London. Professionals love the area because they can easily get into the heart of London, and have access to transport links to the rest of the world all from their doorstep. With no less than 4 Michelin starred restaurants in the area, you’re right to expect some exceptional culinary delights living in this area. There’s Petrus, Gordon Ramsay’s Michelin starred French restaurant which remains a popular option for a fancy night out. You can also enjoy Pakistani food at Salloos, Parlour Au Pot for an intimate ‘Lady And The Tramp’ style dinner, Amaya for Tapas and Grace Cafe for healthy food. If you’re looking to buy treats to take home with you, the Fine Cheese Company, Dominique Ansel Bakery and Peggy Porschen should be top of your hit list. If you’re feeling like you fancy a tipple over a meal, then you’re even more exceptional choice. 5 star hotel The Berkeley is ideal for a fancy cocktail or two, or for a locally brewed ale The Nags Head or Wilton Arms are fantastic options. For something a bit different, The Grenadier is a really good choice. For afternoon coffee there’s a really delicious selection of coffee shops to visit in Belgravia. The Roasting, Cafe Bella Maria, L’Eto and TomTom Coffee House are all excellent options for the most delicious coffee blends and relaxed atmosphere. You’d be right in thinking that anywhere in London is unlikely to be that open and offer many activities, because it is a highly populated city. However, Belgravia is a gem in that way, because it provides access to famous Hyde Park, as well as its famous little squares which provide visual breaks to the constant buildings, shops and roads. 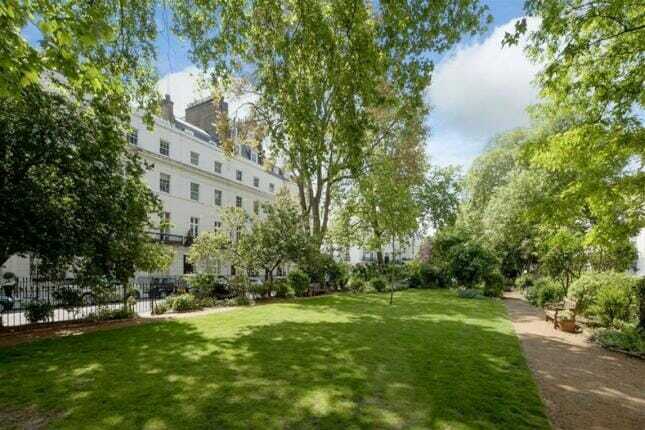 There is even a garden, called Belgrave Square Garden which is a private garden. It is 4.5 acres in size and was started in 1826 by Thomas Cubitt. It has been recently restored to match its original layout from 1867 and has some huge beautiful trees (some that were planted right at the beginning), seating areas, roses, a children’s play area and tennis court. Events are hosted here and you can have parties in the garden. The only catch is that you have to be a keyholder to the garden. You can apply for a key and purchase one, details of which can be found on the Belgravia Square Garden website. 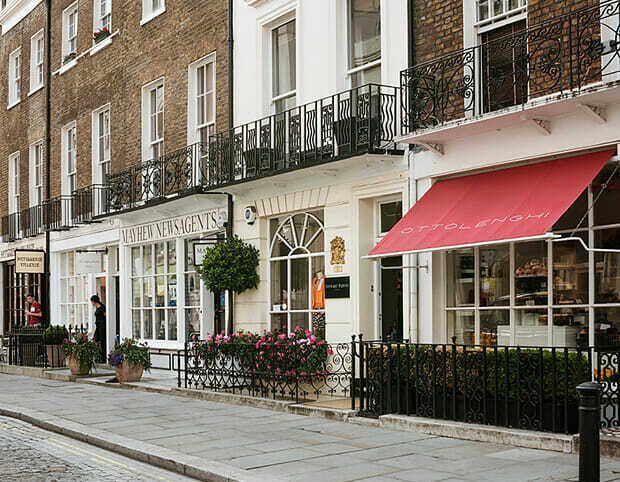 You can find some beautiful shops in Belgravia, offering you unique wares you won’t find anywhere else in the country. Hawick Scotland has luxurious knits, you can find heavenly scents and bath products at Les Senteurs, rare and vintage wines at Jeroboams. There are also endless concierge services if you would like somebody else to do the work for you and find exactly what you are looking for. Alternatively, Belgravia is extremely close to all the exclusive, high-end shops on Sloane Street, and provides easy access to Harrods and Harvey Nichols. Belgravia is so close to so many transport links, you can get anywhere you want to from the area. You have District, Circle and Victoria tube lines, overground services, multiple bus routes, and easy access by road. Car parking can be tricky in the area, so it is best to reserve a space before visiting. Moving there, there are various residents car parking schemes and spaces to consider purchasing, but it is worth looking into your parking options before going ahead with a property purchase if you do require a parking space. If you’re moving to Belgravia with your family, or you’re looking at starting a family in the area, you will likely want to know that there are local schools to provide an excellent education for your children. Hill house takes children aged between 4 and 13 and runs a selective admissions process. Prince Charles was a former pupil and the school is run by the same family that founded it originally. Family houses for sale near the school can top £25 million. Eaton House takes children aged between 4 and 8 and pupils are from Westminster, Fulham, Kensington and Chelsea. The school was founded in 1897 and family homes for sale nearby top £2.5 million. Holy Trinity takes on pupils between age 3 and 11. Pupils attending Holy Trinity Church are given priority for places, and most pupils come from Kensington and Chelsea. Family homes nearby are for sale for upwards of £10 million. St Peter’s takes children aged between 3 and 11 and has an outstanding Ofsted rating. Although there is no need for the child to live locally to get a place, they must have association with a local church. Family properties for sale nearby can cost upwards of £6 million. St Barnabas takes on children aged between 4 and 11. Priority is given to submissions from children who are actively connected to St Barnabas’ Church. Family properties near St Barnabas Primary school cost upwards of £7 million. Knightsbridge School takes on children aged between 2 and 13. A parent interview and application process is needed for submission. Family properties located nearby cost upwards of £18 million. Sussex House takes on children aged between 8 and 13. There is a selective admissions process to get into the highly esteemed school, which was founded in 1952. Family properties for sale near Sussex House cost upwards of £3 million. Francis Holland is an all girls school and takes on girls aged between 4 and 18. The school was opened in 1881 and has connections to the Church of England. Family properties for sale near the school can cost upwards of £12 million. There are of course options to travel to schools out of the area, which isn’t difficult at all with all of the fantastic transport options and road links. Keeping the different seasonal decorations safe so when it comes to Halloween, Christmas or Easter you have everything you need to decorate, without it cluttering up your home. 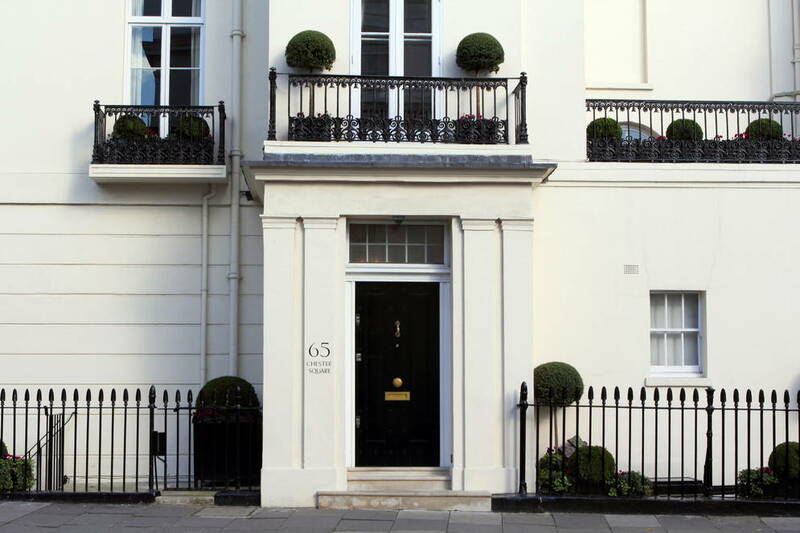 Hopefully you’re feeling a little more in the know about this stunning residential area, and when it comes to moving to Belgravia, you’ll have a head start on what there is to offer, and how to best make the most of this affluent London area.